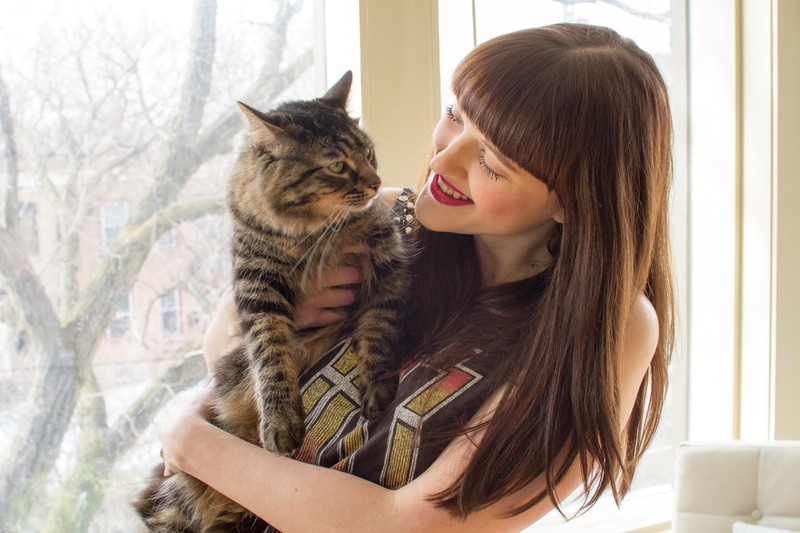 What do you do when one of your best friends asks if you want to model for some photos? 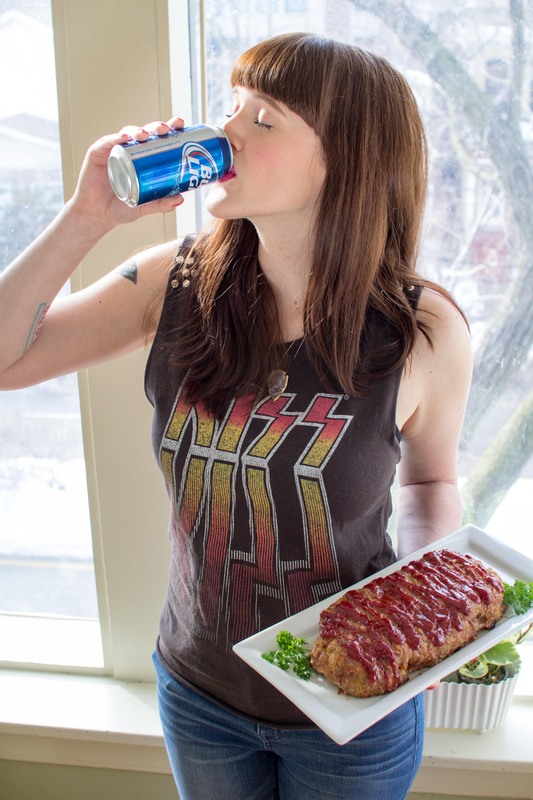 Slap a Kiss T on, day drink a Bud Light, and hold a meatloaf, right? The wonderful Dana Juhász Ardell (see Dana J. Ardell Photography blog here), needed some pictures for another project and was nice enough to let me rock some for this here blog as well. 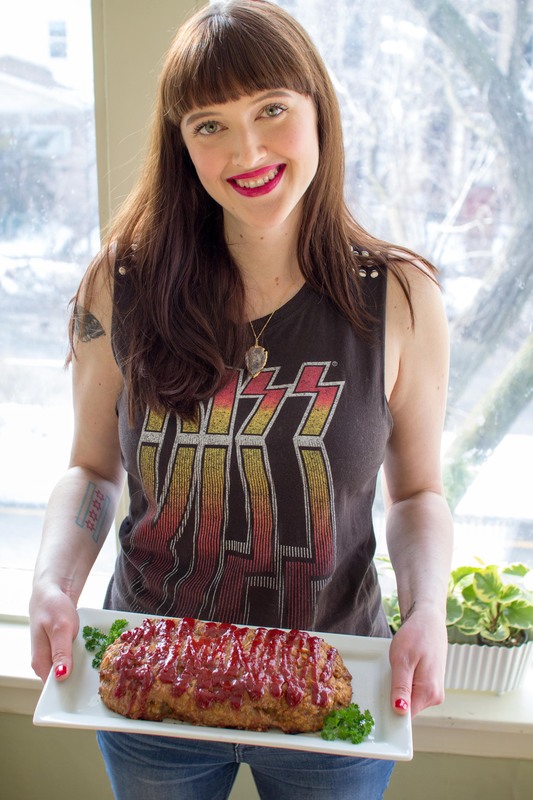 To commemorate our fun day of photos I decided to re-up one of my all time favorite meatloaf recipes, from the Queen herself (Ina Garten). I originally posted this recipe two years ago, but have tweaked some ratios and made some adjustments. Don’t let the turkey-part of this recipe fool you, it’s one of the most flavorful, delicious loafs I’ve had! 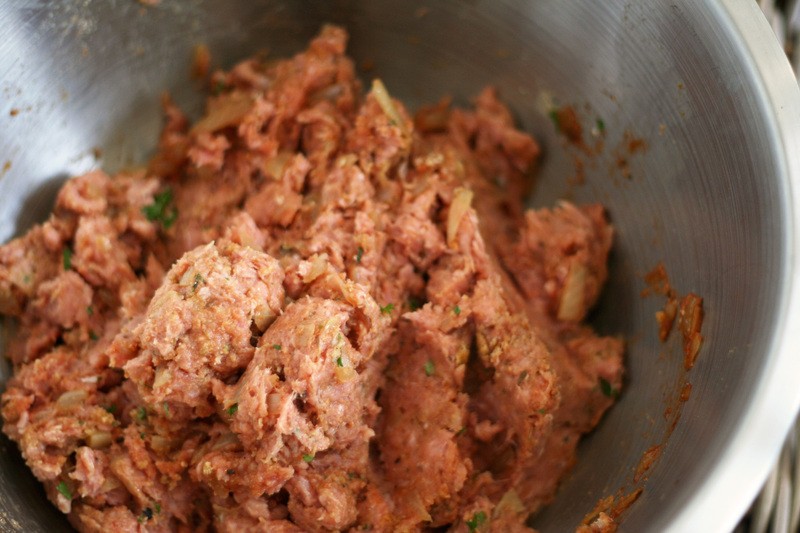 So go grab a cold beer, and get ready to make some meatloaf! 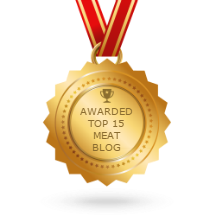 *All photos below, except the meatloaf prep, are by Dana. First, preheat oven to 325 degrees F.
Then in a medium saute pan, over medium-low heat, cook the onions, olive oil, salt, pepper, and thyme until translucent, but not browned, about 15 minutes. Add the Worcestershire sauce, chicken stock, and tomato paste and mix well. Allow to cool to room temperature. 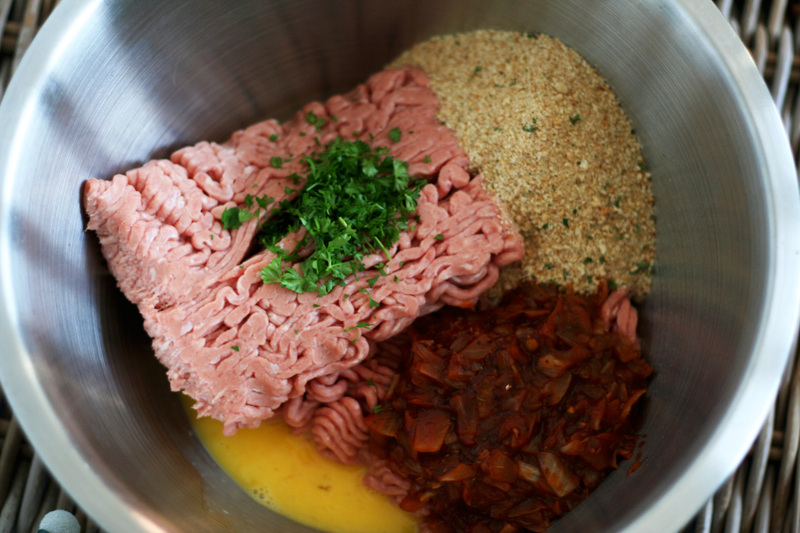 Combine the ground turkey, bread crumbs, eggs, parsley and onion mixture in a large bowl. 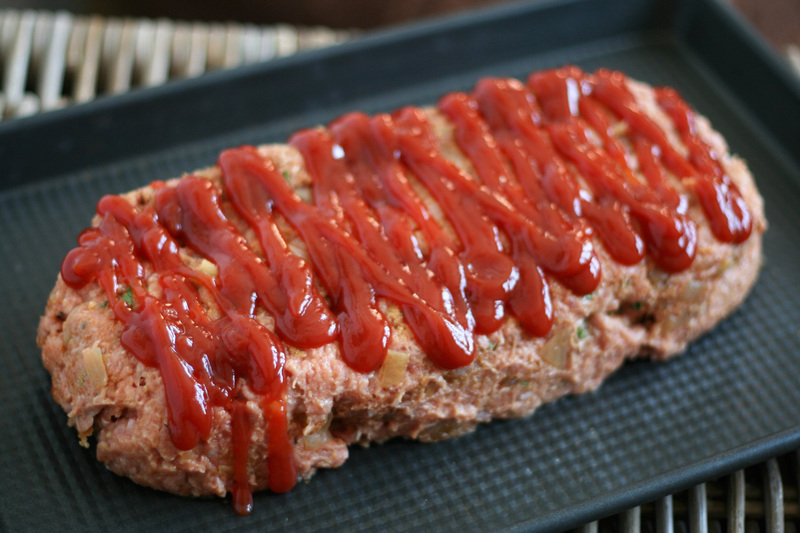 Shape into a rectangular loaf on an ungreased sheet pan and spread the ketchup evenly on top. 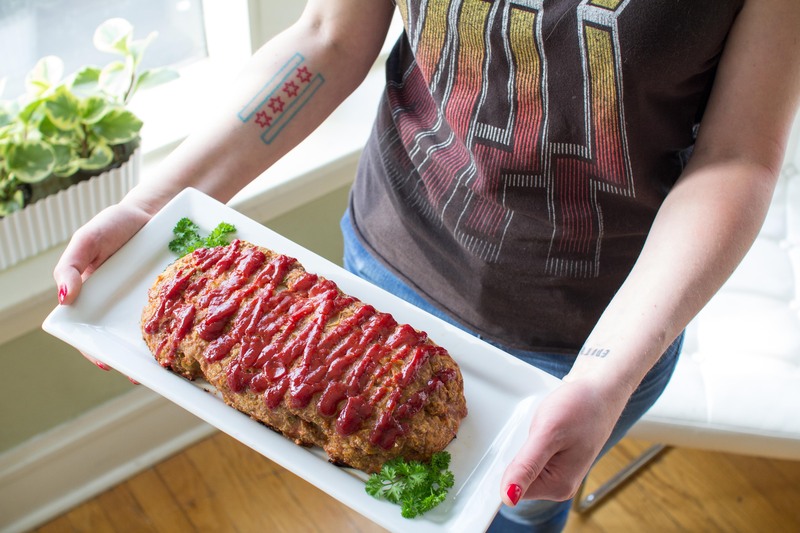 Bake for 1 hour and 15 minutes until the internal temperature is 160 degrees F. and the meatloaf is cooked through. I love to serve this with creamy mashed potatoes and blanched broccoli. YUM. Give this recipe a try and let me know what you think! 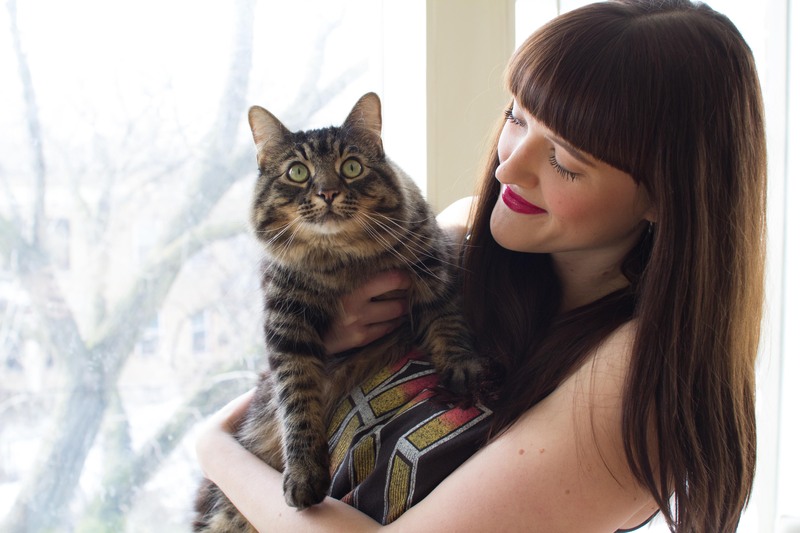 To end this post I have to show off this cute little bugger who crashed our our photo-shoot…I think he likes meatloaf too. All Hail the Queen! 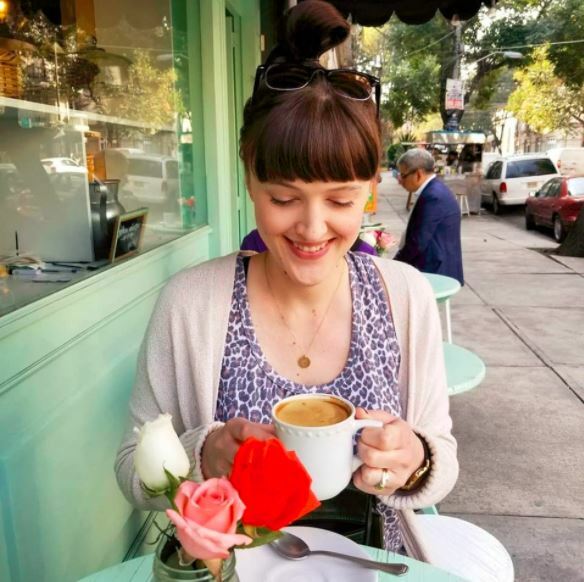 You are Gorge Annie…love your Windy City Ink!